Join us to talk International holidays and more! Jill is almost done working on the Hitofude Cardigan. She is moving forward on her Melody Miller Mustang Quilt. There are lots of problems with the pattern given that she is a beginning quilter. She is also spinning some 80/20 Merino/Tussah Silk from Redfish Dyeworks. Michele wasn't sure if she was done with her Mielie vest, but has decided it doesn't need pockets. It is now done except for putting on the snaps, weaving in the ends and blocking. 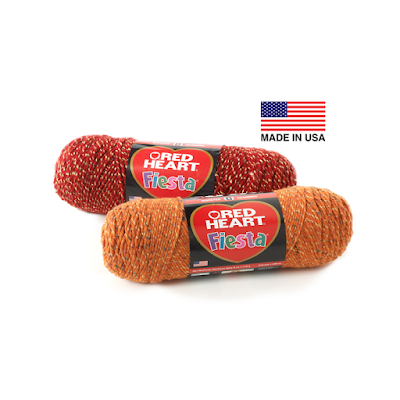 Michele's new Red Heart Fiesta yarn (the orange one)! Michele loves the Safety Scarf by Stephen West and wants to make it in the same colors. Jill is still thinking of the Colors of Fall KAL, and is thinking about either the Oblique Motion by Jennifer Thompson or the Aurelia Cowl by Hilary Smith Callis. We'll be starting a craft-a-long on August 1. 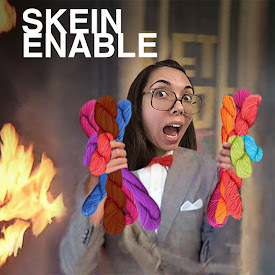 It's time to rekindle the flame with your first queued patterns/stashed yarns, etc! Justify why your project meets the requirements. It doesn't have to be your very first queued or favorited pattern, but it should be an early one. As always, find us on Ravelry as nodice (Jill) and photospice (Michele) or on Instagram as nodice11 and photospice75.